Thanks Raffa the mini looks really nice, hope to get it in real !!!!! I love the Bity tales, but this miniatures are very inspiring too, especially the tiny little Car fantastic!!! Quentin is one lucky man :) But yes he deserves it. great work, really looking forward to the Tau. 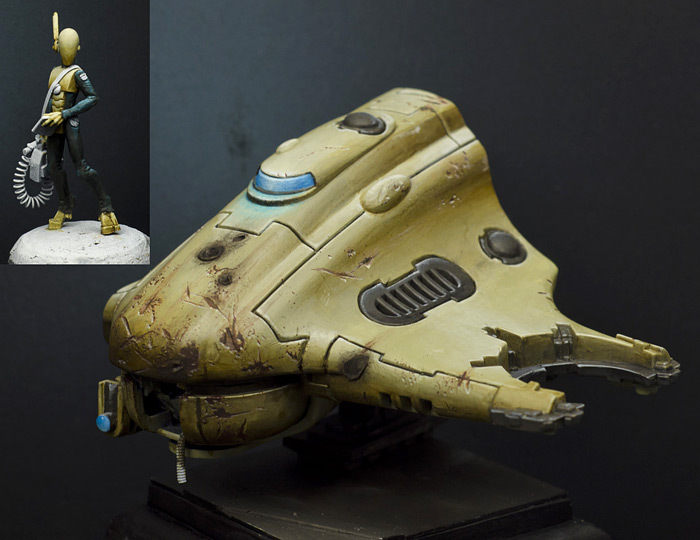 What colors did you use on the armor and the hull of the craft? That's some real nice brush work!